Creative Fox: Do you do dogs? was the start of pooch thinking for the Fox's next line. I always thought it was kids did the craziest things but apparently dogs are getting in on the action. 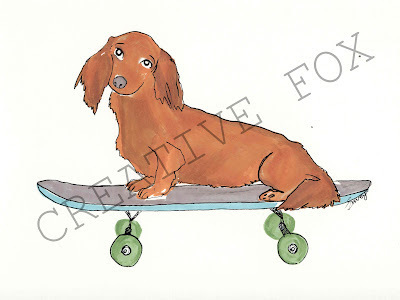 Straight dog poses are not my thing but put a long haired dash hound on a skateboard and I'm in! !